Activeo relies on a network of reliable and committed business partners who are committed to ensure that the solutions achieve client goals in the newer areas of Contact Centers; those skills combined with years of experience in this specialized market have enabled Activeo to provide innovative solutions with best-practices and state-of-the-art technology expertise. Thanks to the continual monitoring of new technologies and to the careful selection of relevant products and technologies, Activeo has been led even to define and integrate its own advanced solutions, which allow it to respond to the needs of Contact Centers. L’Association Française de la Relation Client was created in 1998 and includes 700 members. NF Service Centre de Relation Client is a prestigious label of Customer Relation Quality in Contact Center. Activeo advises companies and helps them to define the appropriate KPI, organization and steps needed to reach the quality level to obtain the NF Certification. The certification is now evolving towards a pan European norm (NF EN 15838). Activeo and Cisco have pioneered in significant projects, building both technical and commercial strategic relations. For over 25 years, we have put the customer at the center of all we do, and we passionately believe that great customer engagement drives great business outcomes. 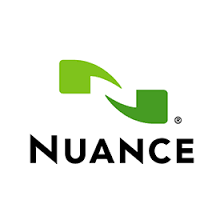 Nuance is a leading provider of speech and imaging solution for businesses and consumers around the world. Activeo brings its expertise based on Nuance technology in the areas of voice recognition, text to speech in order to improve customer service, business productivity and to simplify the way people work. Solutions for forging deeper, more meaningful, and valuable customer relationships. Engagement is fundamentally changing. Customers now enjoy more power, choice, and freedom than ever, and employees expect the tools and capabilities to keep up. Our solutions help simplify, modernise, and automate customer engagement. They can help you turn engagement into a sustainable competitive advantage while reducing the cost and complexity of customer operations. Deployed in specific areas of your business or across the entire organisation, they can help you take customer engagement and your brand experience to the next level. Who better to partner with you than Verint, the Customer Engagement Company? Dynamics CRM was specially conceived by Microsoft to help enterprises improve the productivity of their sales and customer service teams. As a Microsoft CRM partner, Activeo has acquired an advanced expertise in the implementation and integration of the Dynamics CRM solution, insuring the success of its customer relation management projects. The Association for the Management of Customer Claims brings together 280 member companies who have decided to turn the glitch into a nugget®. An international alliance of consulting firms specializing in customer service management, LimeBridge brings together a dozen independent companies on five continents. Among the members now official: Driva Solutions (United States and Canada), Budd (Great Britain), VRP (Germany), Detter Consulting (Sweden), ePartners (Japan), Rhea Consulting (Singapore), Contact Solutions ( Hong Kong), Celtycs (India), Loyaltyfirst (Australia). The Contact Centre Association of Singapore (CCAS), founded in 1998, is a not for profit, educational organization that focuses on technologies, operational approaches for, and business issues of local and global contact centres. The CCAS offers seminars, round-tables, panel discussions, leading-edge showcases, social events, networking opportunities, and its annual Contact Centre Awards and Regional Contact Centre Industry Symposium. NICE inContact CXone ™: Customize customer journeys across all channels, Analyze trends in real time and optimize performance, Workforce management, Virtual Assistant and IA. CXone ™, the leading cloud-based customer experience platform, enables businesses of all sizes and their customer contact centers to dynamically adapt to any future changes, act smartly and offer a personalized journey , whatever the channel or the interlocutor, and respond quickly by taking advantage of the agility of the cloud platform. Our loyal customer base includes more than 25,000 companies in more than 150 countries, including 85 Fortune 100 companies.